HEAT, the all-day dining restaurant of EDSA Shangri-La, Manila recently revamped its buffet menu to include eight new signature dishes created by the restaurant's eight specialty chefs. In a private dining event organized by hotel, HEAT's new Executive Chef, Tobias Unger, presented the whole concept to us, highlighting on the international diversity of flavors that diners can enjoy at HEAT. Executive Sous Chef Roxanne Castillo took us then to a culinary tour of the world by presenting each of the eight specialty dishes. First to be served was the Curry Laksa Seafood Dumpling by Malaysian Chef Andy Liu. It is a kind of soup dumpling with contains a blend of shrimp and cuttlefish cooked in a broth of curry laksa. 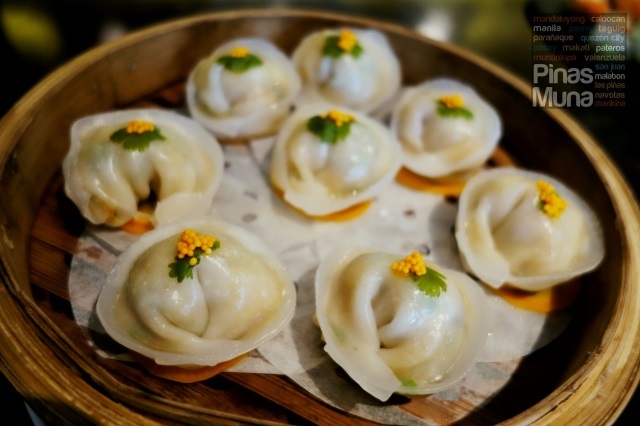 Each bit of this dumpling brings the flavors of Chinese and Malay cuisine together which will surely make you want for more. Next to be served was an original creation of Japanese Chef Yusuke Hino. 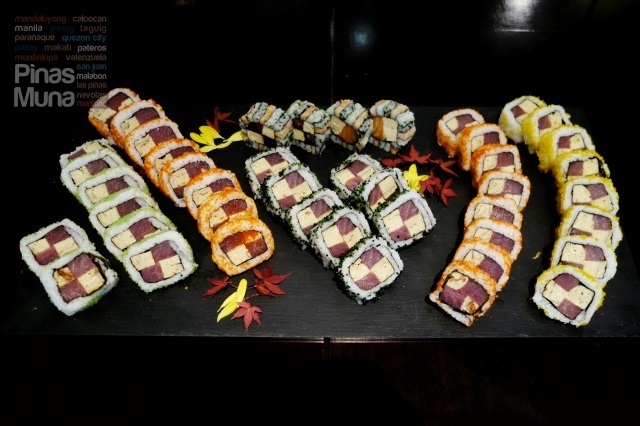 The Signature Maki and Magic Cube Roll is a modern presentation of maki wherein each roll contained cubed eggs and tuna which resembles a magic cube. Eating maki has never been this fun! The third dish introduced to us was a classic Italian favorite. 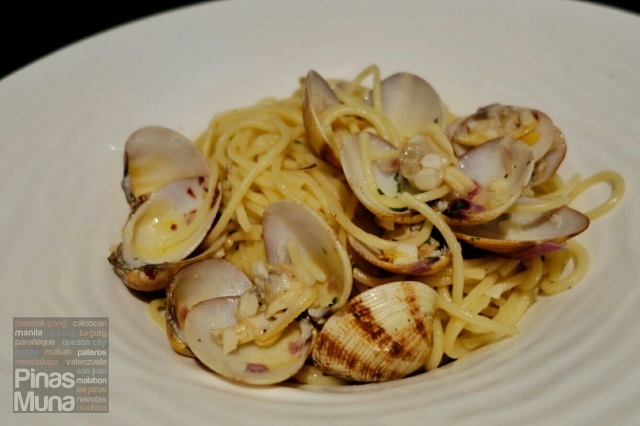 Italian Executive Chef Marco Ghezzi shared with us the flavors of Italian home cooking through his Spaghetti alle Vongole. It's a very simple pasta dish made with clams, garlic, olive oil, pepper and parsley, which can be easily made wrong by an unseasoned chef. 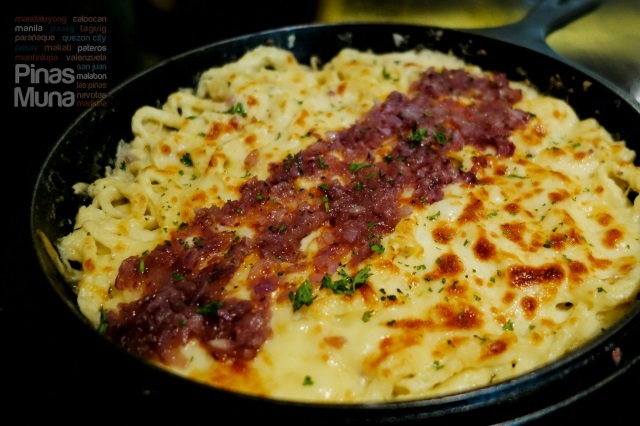 The fourth dish served was the specialty of Chef Tobias, the Cheese Spätzle or Käsespätzle, which is basically hand-made egg noodles topped with Ementhaler cheese and caramelized onions. This German dish is somewhat similar to macaroni and cheese, but the egg noodles are denser and richer in flavor. 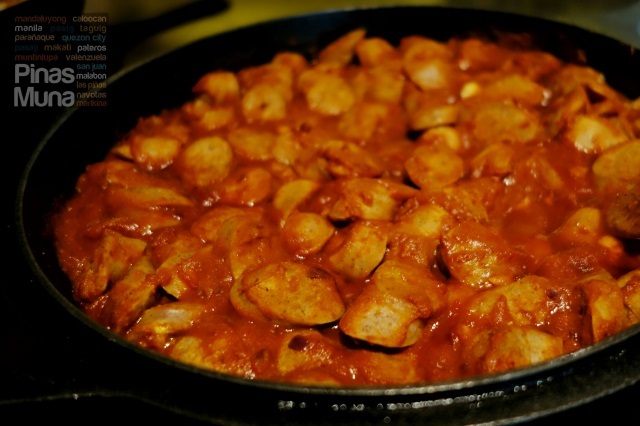 The Cheese Spätzle is best paired with Curry Sausage (Currywurst) which is basically sliced Bratwurst, where port sausages are steamed and then fried, and then served with spiced tomato paste. The quality of this dish depends on the sausage and the recipe of the sauce which Chef Tobias learned from his family. Celebrating the rich flavors of Indian cuisine is the Pomfret Tandoori by Chef Fanishwar Nath. The pomfret, commonly known as pampano in the Philippines, was first marinated in massala and is then grilled to golden perfection. I love Indian food and I always give high regard to buffet restaurants that serve authentic Indian dishes, and HEAT is one of our go-to place whenever we crave for Indian food. Another Asian dish served to us was the Coffee Ribs by Executive Chinese Chef Tony Sum. 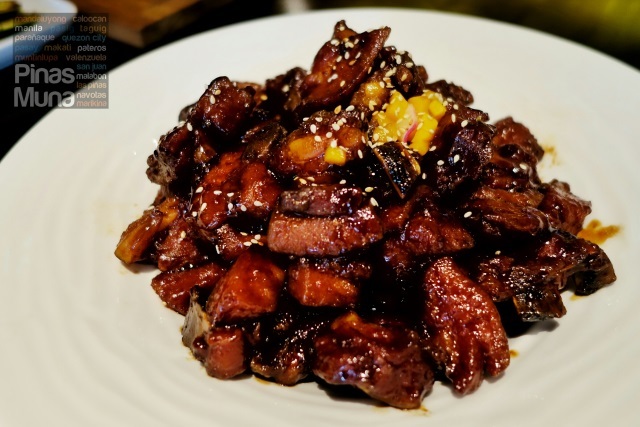 This Singaporean dish has an interesting twist to the conventional spareribs wherein the pork ribs are first fried and then coated with a coffee-based sweet oyster sauce. I find it perfect with steamed rice. We are yet to try this dish in Singapore and we are happy to have tried it here first in the Philippines. Chef Roxanne then introduced her own signature dish, the Adobo Marinated Prime Rib. 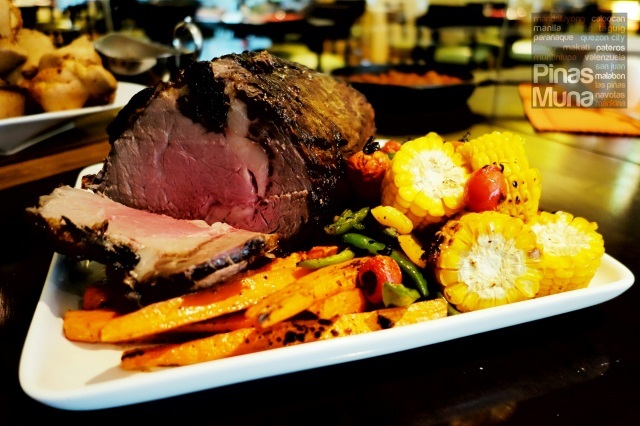 This buffet superstar, the Prime Rib was given a Filipino touch by marinading it in adobo sauce, and serving this slab roasted vegetables from Tagaytay and adobo beef jus on the side. Giving a sweet ending to our lunch was Pastry Chef Martin Frowd's Raspberry Molted Brownie Double Shot Vodka Cheesecake with Raspberry Sauce. 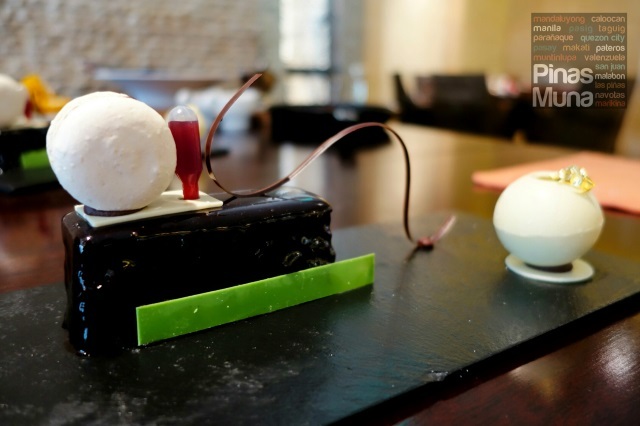 Such a very long name for a dessert which simply translates to a rich chocolate coated cheesecake with raspberry sauce. Absolutely yummy! Another major change that we noticed at HEAT was the way they organized or group their dishes. Stations are no longer named after the regional origin of the dishes, rather, stations are now named based on the way dishes are cooked. The Boiled/Soup Station for example includes all dishes that are either boiled or served as a soup wile Grille Me Up Station features all dishes that are grilled. The Wok Station presents all dishes that you can cook in a wok while the Sugar Raise Station will send you to sugarland with all the cakes and pastries on the dessert spread. The buffet at HEAT is available from Monday to Sunday, 12:00nn to 2:30pm for lunch and 6:00pm to 10:30pm for dinner. Lunch buffet starts at P1,890 nett per person while dinner buffet starts at P2,205 nett per person. 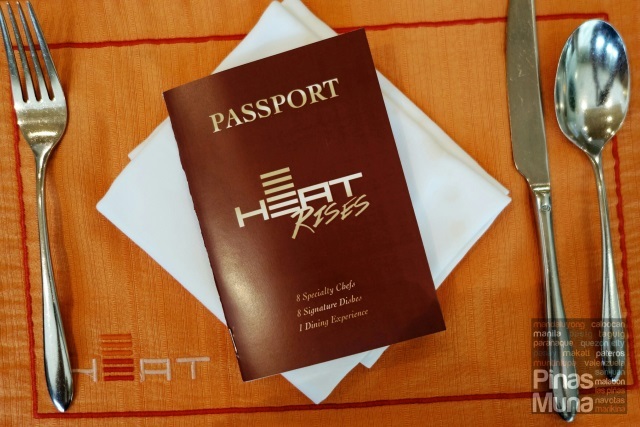 For inquiries and reservations, you can contact HEAT at (02) 633-8888 extension 2740 or 2741. You can also email them at heat.esl@shangri-la.com. For the latest promos, you can follow them on Facebook, Twitter and on Instagram. STAYCATION: Check Room Rates now!